Black Ice by Becca FitzPatrick EXTRAS! Instead of sharing a review of Black Ice on my blog today, I will be sharing some fun little "extras" that I created while reading the book. But wait, you may be wondering "Why is Sheridan not posting a review of a book she just read (and had ample time to review thanks to a break) on her blog?" While I may not be posting a review of Black Ice on my own blog, you will be able to find one over at Book Nerd Addict very soon. This is because I participated in her BNA Review Exchange. All of the details about the BNA Review Exchange are over on that post, but to sum it up, Helena was nice enough to send me a book (this month, my choice was Black Ice) in exchange for a review. She even is so kind to allow me to keep Black Ice in my own home library! My review of Black Ice will be live on Helena's blog very soon, but I wanted to focus on doing something extra and fun. Plus, I think what I am going to post today ties into my review of the book. This year, I am participating in the Book Blogger Love-A-Thon! You can read more about it here, but the gist of the event is that it is meant to spread the love for Book Blogging and for other bloggers. The Book Blogger Love-A-Thon is also a way to have bloggers share their love to the community and to each other. This is my first time participating, and I could not be more excited! There are loads of events happening throughout the next two days. On Twitter, you can follow the hashtag #LoveAThon, and you can also continue to check out my blog throughout the next two days for all of the fun challenges I will be taking a part in. For now, one of the activities I was asked to participate in was a short questionnaire to allow you guys to get to know me! I've included a couple questions that I find really interesting. Feel free to leave your own answers to these questions below! I would love to get to know you too! I am blogging from the United States. I love to read, and I have loved to read since I was little. I wanted a place where I could share my opinions with fellow book lovers, and while I had (and still have) a Goodreads account, I was not getting the interaction with other people that I wanted to. I turned to blogging because it allowed me to be personal and independent. I was able to create everything myself - my blog name, design of the page, layout, and the reviews. The most important piece of information is that I feel like blogging gives me more of a connection to my audience and my friends. I cannot count the number of friends I have made because of this blog! To be honest, I am not sure. I created a blogger account when I was in 8th grade in hopes of blogging about my daily life and reviewing books. I was really set on the name Turning the Pages, but that URL was already taken by another Blogger user. I fell in love with the name I have now (I Turn the Pages) because it connects back to me, and I think reflects my love and connection that I have with books and fictional characters. The books that I read and review most on my blog are Young Adult books of any genre. My favorite genre is Young Adult Dystopian, although I am hoping to dive into the realms of Historical Fiction soon enough. When I am not reading or reviewing Young Adult novels, you can find me reading memoirs. I always love reading about how other people overcome their challenges, as we are all faced with individual challenges ourselves. Some of these reviews are posted on the blog, if you want to go check them out! Apart from reviews, I help authors reveal covers to their novels, promote their book through "Book Blitzes", and participate in "Blog Hops" across several blogs surrounding a common theme. I would really like to post more discussion posts, because I would love to see more interactions in the comments and also for my readers to express their own opinions. I want to know who all of you are and what you are like! Hmm...this one is really tricky to answer. To be honest, I don't really have a "best experience" yet. I am just a girl sitting on her laptop writing reviews, and I think that is special in and of itself. What I was most excited about blogging is when I realized that my blog hit 100 followers. It just really shocked me (and it still does) that 100 people like my reviews and read my blog whenever I update it. I just wanted to do something that I love, and I am so happy that other people enjoy it to! I also LOVE all of the friends that I was able to make. Within my first year of blogging, I had already met my co-blogger Anna, who I love with all of my heart! She has helped me so much with my blog, and I am so excited that we are able to work together and work to improve the blog together! Meredith and Nori are also some of my greatest friends in the blogging community. I love chatting with them on Twitter, and they always find a way to make my day! I love you guys! While I wish I could list all of my book blogging friends, the list would be way too long! I actually made a post about this! You can read it here! 10. What’s an (underrated) book or series that you think everyone should read? I don't think any books are really viewed as underrated in the blogging community (because each individual person has their own books that they like). But, in terms of a book that I think everyone should read, I want to stray away from the obvious. This of course means Harry Potter, The Hunger Games, Divergent, or any other book that has already taken the blogging community by storm. Ellen Foster from How I Fall by Anne Eliot. She is an amazing person and always fights the odds. She also likes photography (something I like as well) so I think we would get along! I love to write. I also like to bowl. With school, it's quite difficult to do new things outside of the world of academics! Anything that is fandom related. I absolutely love Harry Potter and Parks and Recreation (although that shopping has to be done online!). I love looking for objects that I don't already own! 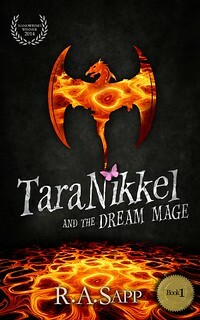 This is my stop during the book blitz for Tara Nikkel and the Dream Mage (Tara Nikkel #1) by R.A. Sapp. This book blitz is organized by Lola's Blog Tours. The book blitz runs from 15 till 21 february, you can view the complete blitz schedule on the website of Lola’s Blog Tours. On the 20 and 21 February this book will be free on amazon, so check out this post and excerpt now to see if you will like it! Want to know the story behind this story? Check out this post about the real Tara on the author's website. Tara could feel Billy's eyes looking down at the metal braces on her legs, examining them, exploring their mechanics. It took all of her strength to resist slapping his curious booger-dripping mug. "What's wrong with your legs?” he asked. A tiny green caterpillar crawled out his nostril. He sniffed and the green goo disappeared back up into the space where his brain should have been. "You are disgusting," Tara huffed at him. It was Friday, the end of a miserable first week of seventh grade at Tevis Jr. High. Tara had been home-schooled her whole life, so this was the first time she had actually gone to class with other students. She was already regretting this decision. Being the new kid is hard enough when you're thirteen, but having to be the new kid with cerebral palsy—well, that's an entirely unique form of difficult. And if all that wasn't bad enough, the Bakersfield air was so toxic on her asthma that Tara had to wear a special filtration mask if she went outside for more than fifteen minutes. Billy Higgins' lower lip hung a little too far from his gums. He watched her with great interest. His brown eyes waited with pleasure for her to entertain him. "Will you stop staring at me please?” she said under her breath so the other students would not hear. "Like a baby giraffe," he repeated, snickering, as if the words themselves were packed with an endless supply of comedy. "Oh ma dose," Billy moaned, covering his face with his hand. Tara crackled a smile. She imagined for a split-second that she had summoned that red pen from Mrs. Ross' hand and had directed it telepathically at Billy Higgins' dumb face. A squeaky giggle escaped her mouth. That was almost as good as turning him into a toad. R.A. Sapp lives in beautiful Orange County, California. He is married to Rebecca and together they have two children--Abigail (The Healer) and Christian (The Wizard). 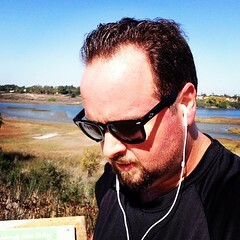 In addition to reading and writing, Mr. Sapp enjoys running and mountain biking. He has run several half-marathons (including completing the Beach Cities Challenge in 2014) and hopes to complete a triathlon someday. This giveaway is blitz wide. This means I am not responsible for the prizes or running the giveaway solely on my own. 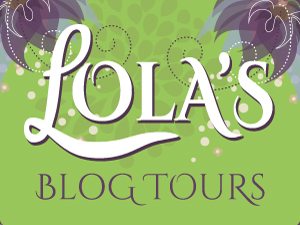 If any issues arise, should you win the giveaway, or you have any questions, please contact Lola's Blog Tours. If you would like to contact me, I will happily forward your message to where it needs to go! In the spirit of Gal-entine's Day (and Valentine's Day tomorrow), my co-blogger Anna-Kate will be sharing some of her book boyfriends! I am so excited that she wrote this post for the blog, and I hope it gets you all in the mood for Valentine's Day! I apologize for taking so long to put this up. For those of you that do not know, I am currently running a giveaway on the 14 Days of Fictional Swooning Blog Hop, and for my personal giveaway, one of the giveaway options is for writing down the "special words" for my post on February 8th. Those "special words" will now be coming from this post, and they are bold and pink! If you find these words, head on over to the blog hop post and enter the giveaway for two extra entries! I hope you enjoy Anna-Kate's post! BLOG HOP: 14 Days of Fictional Swooning + GIVEAWAYS!! Hello! Today, I am a part of the 14 Days of Fictional Swooning Blog Hop put together by Fic Fare and Swoony Boys Podcast! Since it is just one week away from Valentines day, I thought it might be appropriate to talk about some of our favorite boys in some of our favorite books. This blog hop features myself and twenty five other book bloggers/reviewers, and we have all partnered together to bring you the best Valentines/Swooning themed content we can in the days leading up to Valentine's Day. Each of these bloggers has a different topic they are writing about, so be sure to swing on over to their blogs and read their posts! If that was not incentive enough for you, the 14 Days of Fictional Swooning Blog Hop is also hosting a blog hop-wide giveaway! You can gain entries by following each of our blogs, but there is another way to gain even more entries! Each participant in the hop has been given part of a popular "swoony" quote to put somewhere within their blog post. The words involved will be marked or colored so that they stand out from the rest of the post. (For example: my words are marked in pink and are in bold!) If you visit all of the blogs, you can unscramble these words to find a popular quote and enter that within the rafflecopter. The blogs that are posting in the first week of February have one quote, and the blogs that are posting in the second week have the other! AND if that is not enough, I am also hosting my own giveaway for a box of Valentines goodies! (It's possible a book will show up in there too!) All of the ways to enter will be listed in my personal giveaway widget! Fic Fare and Swoony Boys Podcast asked me to write about one fictional boy who caught me off guard. But, I had so much trouble deciding just one, that I had to pick two!